Hello dear artists and comic book lovers. As you see today we will teach you how to draw Armored Batman. 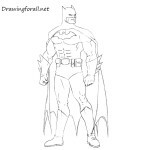 In one of our drawing lessons we showed how to draw Batman, and in the other how to draw an armor, so in today’s drawing lesson we’ll put it all together. So, let’s get started. First of all, as always, we will sketch the skeleton of our dark knight. First we draw an oval as a guide for the head. 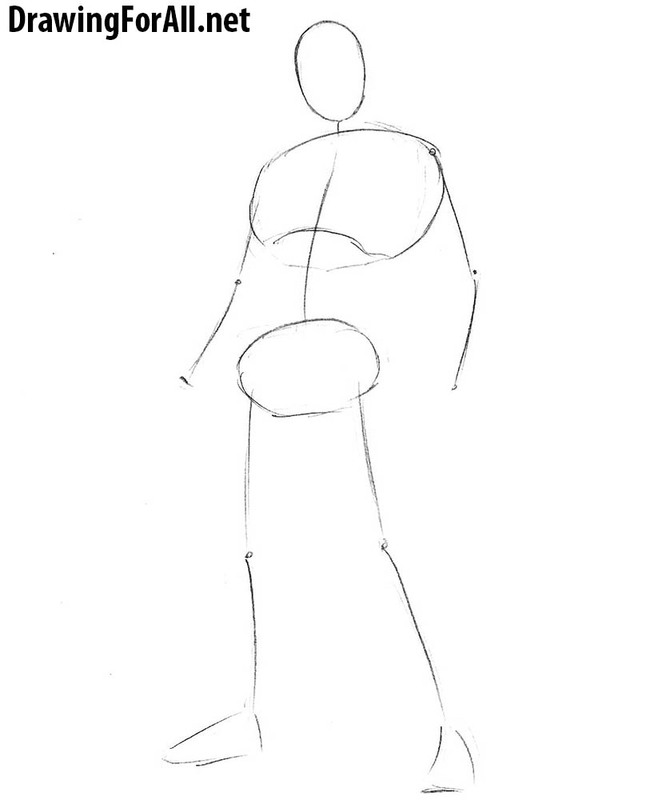 Next, outline the spine, chest and pelvis as in our example. 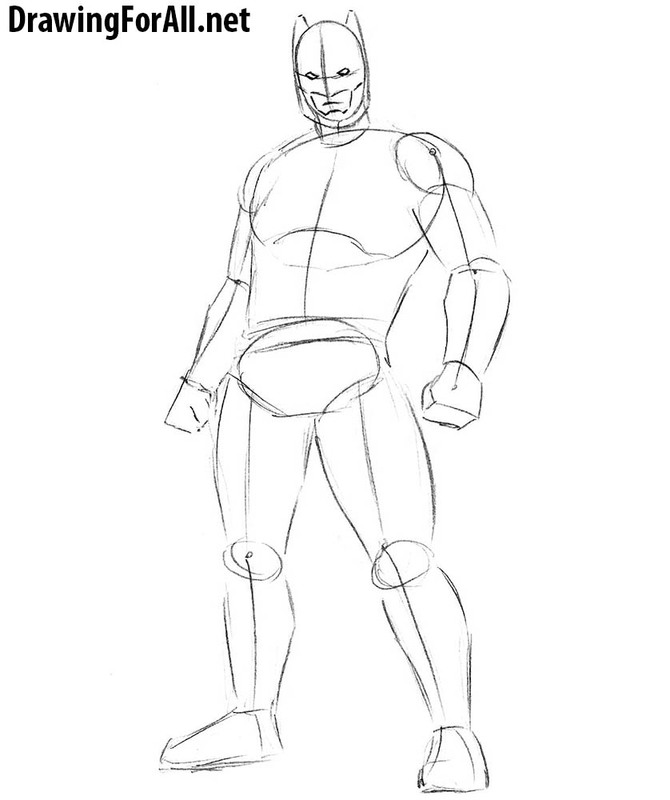 At the end of the step sketch out the arms and legs. Note that the pose of our hero is not quite ordinary, we look at him from the bottom. ,we always add volume, and this lesson is no exception. First mark sketch out the lines on the face. Next draw the neck and connect the chest with the pelvis. Using circles and cylinders sketch out the arms and legs. Let’s start adding some details to the head of our Batman. Draw the eyes on the horizontal line from the previous step. Draw the opening for the mouth and the mouth itself. At the end of this step draw characteristic horns (or is it ears?). 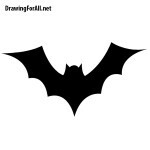 In this step we will finish drawing our Batman’s head. Erase all the extra lines from the head. Draw all the details on the face like in our example. Add some creases around the mouth. Add some details to the Batman costume. First draw details on the torso. Next we draw the belt and spikes on the hands. At the very end of this step we draw the cape. Continue the drawing lesson on how to draw Armored Batman. Erase all additional lines from the torso. Carefully draw lines of armor and a belt thrown over your shoulder. Now let’s get to the arms. There are many lines here, but everything is easier than it seems. The arms consist of several parts: the shoulders, the upper arms, the forearms and the hands. Do about the same as in the last step. 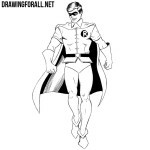 Erase all the additional lines from the legs, draw the details and the necessary elements of the costume. Note that we show you only one of the variants of Batman’s armored suit. Of course you can choose any other variation. 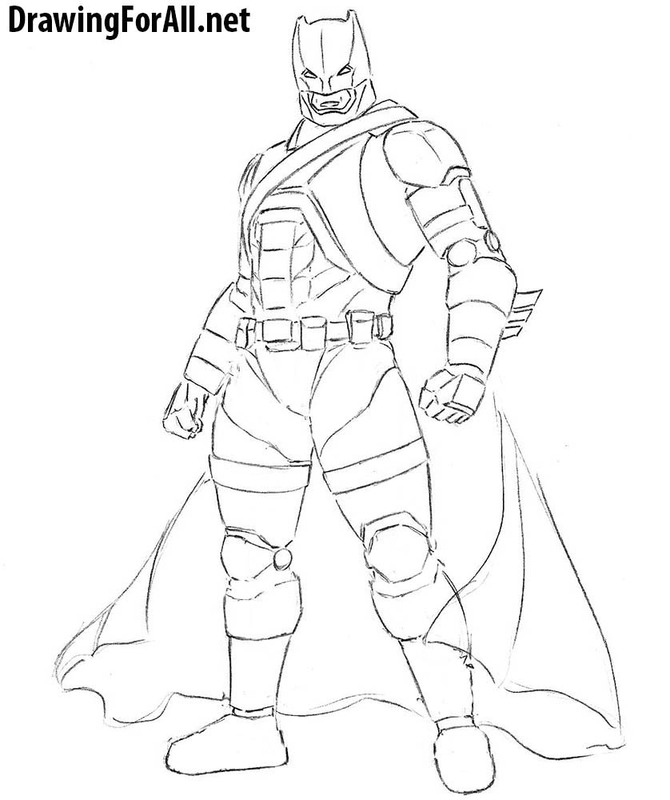 Here we finish the drawing lesson about how to draw Armored Batman. Draw all remaining details on the legs. 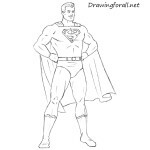 Using curved lines draw out the cape. The lower line of the cloak can be made torn like in our example or make it straight. Also you can add a few shadows in realistic style (as in the lesson about viking) or in the comic book style (as in the lesson about Spider-Man). Did you like this drawing lesson? If so, then do not forget to share it and subscribe to us on social networks.